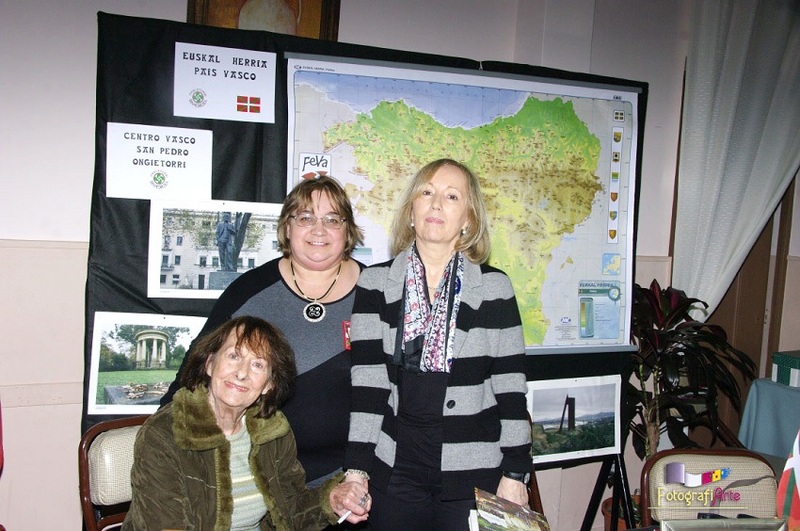 The cultural stand was open to the public every day during the Fair and became a true point of attraction for those who wanted to find out about the origin of their last name and the location of the villages they come from on a map of Euskal Herria. Among the visitors greeted by Ongi Etorri was Argentine writer Sylvia Iparraguirre, who autographed and gifted a book to the institution. San Pedro, Argentina. Organized by the local Italian Society, the First San Pedro's Book and Writer Fair took place on October 3-6 at the Society’s headquarters. Many people attended and various communities in the city participated. Each one of them had a space to introduce their work and elements of the cultural heritage of the nation they represent. “The schools’ participation was also very impressive,” Mindurry added since some professors were actually able to explain the caracteristics and situation of the Basque Country to their students as they visited the stand. Also on Saturday, October 4th, writer Sylvia Iparraguirre attended the Fair. After talking about her novel La orfandad (The Orphan,) Iparraguirre visited the Basque stand to spend some time with the folks from Ongi Etorri. She gifted them an autographed copy of her book for the club’s library.